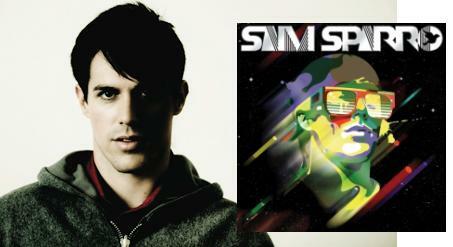 Proving once again that I am months ahead of those music geeks at iTunes (inflating my ego as well), Sam Sparro's "Black & Gold" is this week's featured (and FREE) Single of the Week: "The new master of digital funk and atmospheric soul...the former child star and native Australian works a fair amount of magic on this self-titled debut. The track we've chosen this week, 'Black and Gold,' is a Daft Punk-meets-Jamie Lidell bit of hiccuping electro madness. If you've ever worn a pair of plastic-framed Ray-bans indoors (at night, especially), this is your new favorite song." Me? I've never worn my sunglasses at night, but I will go out on a limb to say this is definitely one of the best singles of 2008. There's a reason why this track has been playing on repeat in my car every morning since April. ALSO NOTEWORTHY: "21st Century Life," "Sick," and "Too Many Questions".